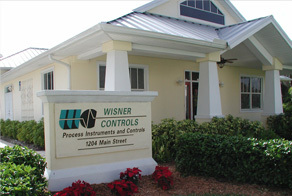 For over 20 years Wisner Controls has provided a variety of process control instrumentation for all types of applications. We supply instrumentation for recording, controlling and transmitting temperature, flow, level and pressure. We also specialize in dairy, food and canning processes and the unique products they require. We have in depth knowledge of the products we offer and will help you select the best instrumentation for your application. 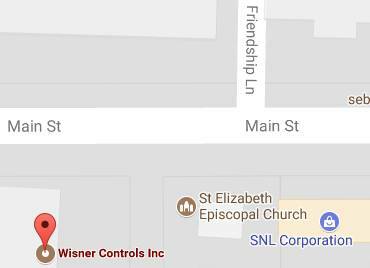 Wisner Controls was started in 1991; a family owned and operated company, specializing in Taylor Instrument service and repair. Our original facility in Mokena near Chicago Illinois opened shortly after the closing of Taylor Instruments repair facility with many of the original Taylor service staff. We started by offering instrument repair services along with control valve rebuilding and custom control panel fabrication. Over the years we increased our repair capabilities and added numerous products from various manufacturers to keep up with the ever changing technologies and processes. In 1998 we added our Sebastian, location which is located on Florida's beautiful treasure coast and then in 2001 we moved completely to Florida. In 2003 we built a brand new facility in Sebastian providing plenty of space for our repair services and warehouse capacity for our growing stock of products. From day one we have strived to provide knowledgeable, prompt and courteous service to all our customers. We would like to thank all of our customers, suppliers, and friends that have supported us through these years and we look forward to serving you well into the future. Thank you for taking the time to visit our website. We also would like to invite you to stop in and visit us whenever you may be in our area.